Aug. 8, 2017—Wall Street speculators have taken two verbal hits this week. That’s all fine and good, but what’s lacking is effective action to protect the U.S. banking system from an impending blowout worse than 2008, and to create the conditions to provide credit for rebuilding the U.S. economy. The needed action is the implementation of the Glass-Steagall legislation now before Congress (H.R. 1790 in the House, and S. 881 in the Senate). The most publicized hit came from that usually inscrutable oracle, former Fed Chairman Alan Greenspan, who gave a number of interviews to financial news outlets to deliver his opinion that the historically low interest rates for U.S. government bonds represent a dangerous bubble. (He ignored the other ones—the stock market, student loans, auto loans, etc.) When interest rates will rise, no one can predict, he said, but they will and it will cause big trouble. In fact, “in a bull market that’s about to break, two weeks before the price levels are below the ultimate peak… so it looks stronger just before it isn’t stronger,” he said. That’s Greenspan circumlocution for “there’s a crash coming,” and the Wall St. hired journalists got the message. Some objected, and the “debate” over whether the man who warned of “irrational exuberance” in the markets in 1996 could be right again, has the pundits all atwitter (pun intended). But much more important (and thus less publicized in major media) was a letter sent by Vice Chairman of the Federal Deposit Insurance Corporation (FDIC) Thomas Hoenig to the leadership of the U.S. Senate Banking Committee on July 31. Hoenig’s letter was, in the words of Pam and Russ Martens of Wall Street on Parade, a broadside against the biggest Wall Street banks for “lying to the American people that overly stringent capital rules by their regulators are constraining their ability to lend to consumers and businesses.” The Martens column, as well as Hoenig’s public letter, deserves to be given broad circulation. Where the Big Six U.S. mega-banks are spending their money: derivatives gambling. The alternative, which Hoenig believes the banks should take, is that they retain a large “share of their earnings earmarked for dividends and share buybacks in 2017,” which would mean “they would be able to increase loans by more than $1 trillion, which is greater than 5 percent of annual U.S. GDP.” In fact, the matter is not that simple, given the massive over-leveraging already existent through derivatives and other gambling ventures. But Hoenig is right that the bankers’ argument that the current regulations have to be loosened to permit them to lend into the real economy, is a total fraud. While Hoenig doesn’t say it, the net effect of the buyback/dividend policy is to further puff up the current stock market bubble (among other speculative ventures), contributing to an even greater crash in the future. As he has pointed out repeatedly, these universal mega banks, which combine investment activity with traditional lending, have taken advantage of the post-Glass-Steagall era to accelerate their risk-taking and increase their leverage ratios to levels higher than in the run-up to the 2007-8 crash, confident in being backstopped by the Federal government. Indeed, that backstopping with a federal safety net became even more explicit and widespread through the 2008-2010 actions of the Bush and Obama administrations. 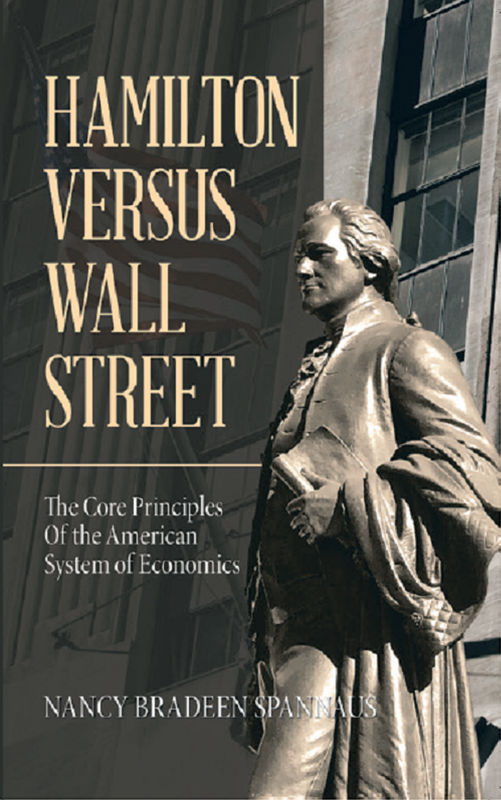 Hoenig, who seeks a higher capital ratio requirement for the banks, is calling for a “substantive public debate” on the policies which allow the Wall Street giants to continue this risky behavior. Unfortunately, there is little public support from prominent political and financial figures in sight. Thomas Hoenig, the former president of the Kansas City Federal Reserve Bank, is a man who should be listened to. In 2012, during a broad national upsurge of support for re-instating Glass-Steagall, led primarily by the LaRouche Political Action Committee, Hoenig became a significant national spokesman for returning to Glass-Steagall. He blew huge holes in the still-extant lie that the abolition of Glass-Steagall had nothing to do with the 2007-2008 crash, and argued pungently for the kind of regulation Glass-Steagall would impose. He has also warned that none of the current regulations in place (as in Dodd-Frank) could stop a devastating blow-out across the board if a new crisis occurs. That risk is now upon us, combined with a dangerously dilapidated infrastructure, demoralized workforce, low productivity, and a national public health emergency epitomized by the opioid crisis. To address these problems, we need Glass-Steagall, followed by a new credit facility to pour long-term, low-interest credit into physical economic investment. No more warnings should be necessary.